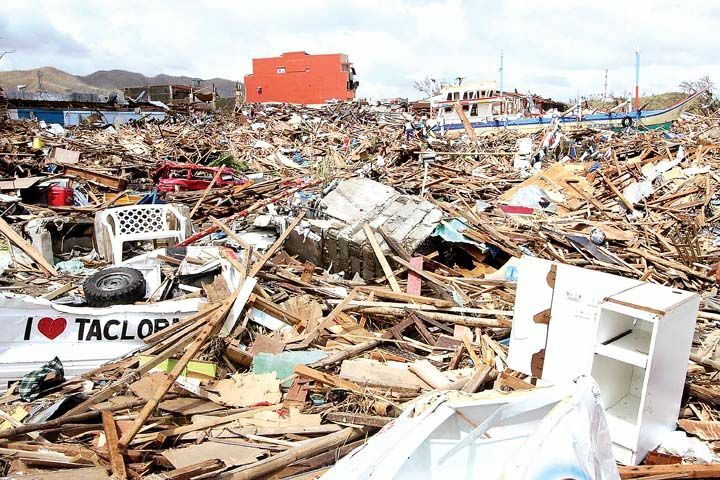 If typhoon Haiyan (Yolanda) is the strongest typhoon ever, then Philippines must be a strong country! The Philippines was just in the process of getting back up after the 7.2 magnitude earthquake that happened just a month ago. And now, we are again being tested. Some people have even mentioned that God must be "punishing" the Philippines because of all the calamities that we are experiencing. But why must we look at the situation in that perspective? 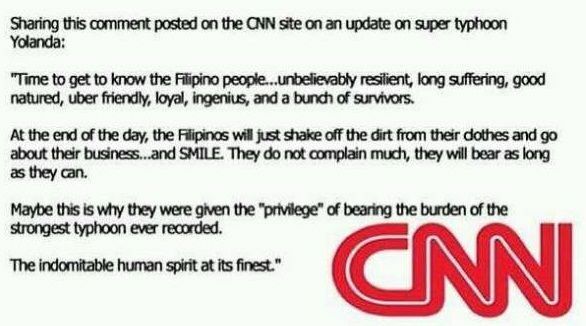 Thanks to CNN's nice words, we were somehow uplifted amidst the horrifying typhoon that killed thousands of people and left even more homeless! I decided to write this post when I received a few messages from some of my sweet subscribers. The people are practically strangers yet they took the time to check on me, which I thought was very sweet! My family and I are okay, we are all safe. And though none of us were hurt, I felt really thankful that you guys actually tried to contact me if I was fine. You know, I can only imagine the horror if the typhoon hit the main city, Metro Manila. There are more people here, more establishments. One of my fears is to be away from my family when something destructive like this happens. Like in Tacloban, all forms of communication were down. 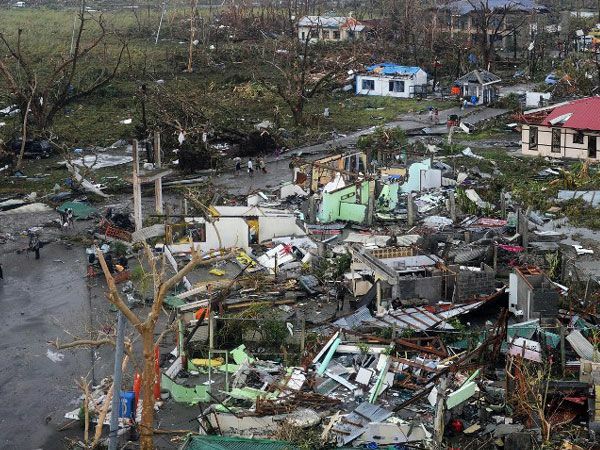 I feel shivers down my spine when I watch the news and see people from Tacloban say that it's almost a ghost town from where they are from. No communication, no shelter, no food, no water, no medicine, even their family members are missing. This leaves me to a thought that at the end of they day, materials things still don't matter. Mansions, Cars, Ipads, those could be washed off and blown away in an instant. I am one powerless individual amidst this calamity.  But for the people who could be reading this post, here's how you could help. Google Person Finder launched a Typhoon Yolanda Page to help look for people that could be affected by the typhoon. Let's continue praying for the people that are affected. Continue praying for the homeless and for the people still tracking their family members. We, the Filipino people, are extremely grateful and overwhelmed with all the support, pledges, love and prayers that we have been receiving from different countries, alliance or not. 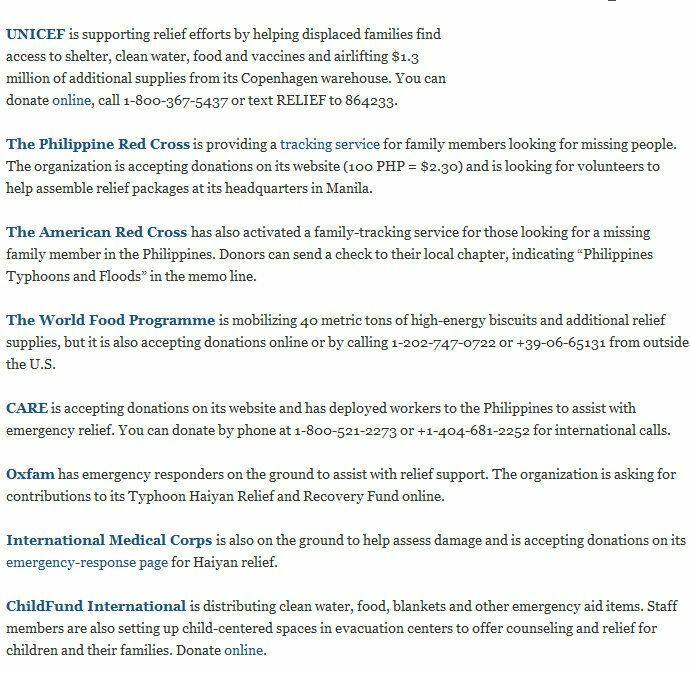 It's so touching to see countries and organizations go out of their way to help us, especially in this difficult phase of our lives. 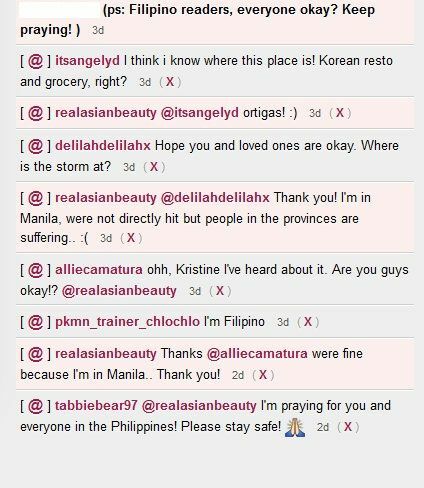 We promise you that we, Filipinos, will never forget this love and kindness that you are giving us. Thank you so much!